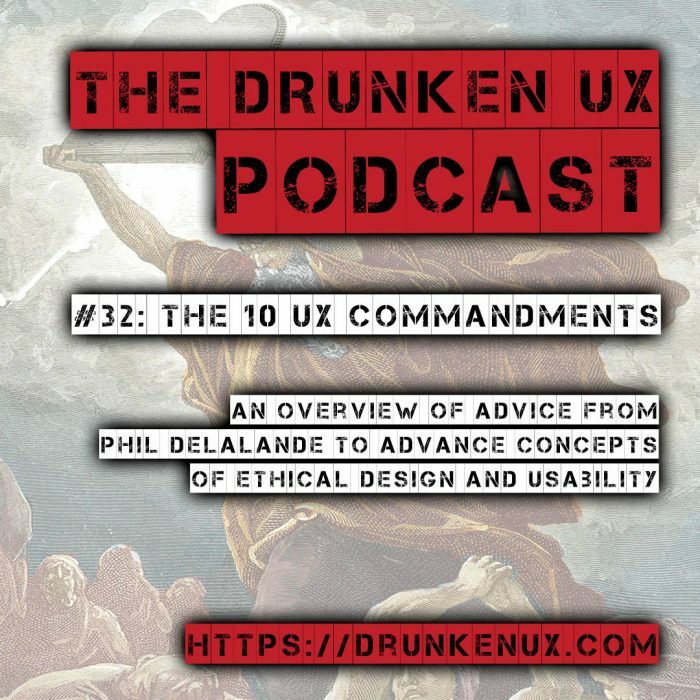 In this episode, Michael and Aaron take a look at an article written by Phil Delalande with his take on The Ten Commandments of UX. Phil’s article outline a series of suggestions meant to help lay the groundwork for ethical design that focuses on usability and users. We review his commandments and offer some of our own thoughts and commentary on them, as well as our experiences applying them in our work. ← #33: HAX the Planet!